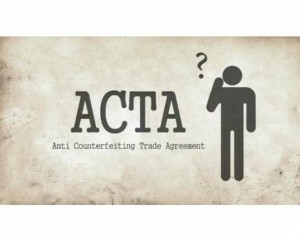 A mere week after the European Parliament voted not to ratify the Anti-Counterfeiting Trade Agreement (ACTA), the Mexican government, through the Mexican Ambassador in Japan, Claude Heller, signed the Agreement yesterday (11 July 2012) in Tokyo. The Mexican Congress recommended the creation of a “Plural Work Group” formed by policy makers of the different political parties, who held meetings with academics and industry representatives and members of the civil society in order to analyse the Agreement and guarantee the fairness and transparency of the negotiations. (Dr Alejandro Pisanty -an UNAM academic, chair of the Mexico chapter of the Internet Society – offered a detailed analysis of the implications of ACTA for Mexican democracy, civic rights and information exchange to the Mexican Congress in February 2011). In July 2011, the entire Group published a report, issuing several recommendations, including the clear exhortation not to undersign the Agreement. “ACTA could result in the imposition of limits to Mexicans’ wish for universal access to the Internet, thus increasing the digital divide, and representing an obstacle to Mexico’s development as an information and knowledge society. “The Mexican State shall abide by the secondary legislation that the Mexican Congress passes on Intellectual Property matters, where the protection and safeguard of fundamental rights, such as freedom of speech, privacy, legality, due process, access to information and culture, shall always be preserved. In this sense, the signing of ACTA is a resolute statement of the Mexican Government to continue discussing, with Congress, the effective protection of Mexican trademarks, inventions and intellectual creations, as well as the implementation of the Agreement, to ascertain that said inalienable rights are never offended or contravened. These assurances contradict the warnings issued by the Plural Work Group. This is obviously not the last word on ACTA and intellectual property rights reform and it is not possible to predict what will effectively happen. (It is not clear if the version of ACTA that Mexico signed is this English language PDF document available at the IMPI site). Nevertheless, it is shocking that the recommendations issued by this special group of experts created within the Mexican Congress remained apparently unheard by the Mexican Executive Power. It is hard not to note the signing took place a few days after Mexico and Canada joined the Pacific Trade Pact and of course in the aftermath of the Mexican Presidential elections. The Agreement still has to be ratified by the Mexican Congress. When and how the discussion in Congress takes place (since the political power has already shifted) will be key. How could all this affect the humanities in general and specifically Mexican academia? It might be too early to tell, but it seems common-sensical that any attempt at criminalising online information exchange by transferring pre-digital Intellectual Property law to the digital age would affect those whose work relies on such exchange. Let us give just one example. Hypothetically, should ACTA be enforced avant la lettre, open access repositories of educational content (something to which many academics are used to, like this from Stanford University) would be endangered. In Mexico, educational resources are expensive and not available to everyone. Indeed, it might be possible to say that humanities work is mainly enabled nowadays thanks to online content management systems and file sharing technologies. “File sharing technologies may boost the exchange of information, opinions and ideas amongst Internet users and foster a number of values underpinning the very protection of free speech. It is for this reason […] that copyright rules might be relaxed when it comes to file sharing technologies” (Intellectual Property Review, Vol. 33, No. 10, 2011). It is fair to say that in Mexico the open web is, as in most other places, the most popular source of information and digital content. If we add to that more or less generalised unawareness, amongst many if not most academics, of Intellectual Property law and digital rights, things do get more complicated. Multinational agreements such as ACTA seem designed to protect the commercial and political interests of private mega-corporations at the expense of the freedoms of individual citizens and the society as a whole. They pose a huge legal obstacle to the academic goal of encouraging social development through the construction and dissemination of knowledge. Since the digital humanities (DH) as a diverse field most explicitly focuses on the study and creation of digital content for the humanities, DH seems to me to be in a privileged position for discussing and advocating for transparent and appropriate Intellectual Property Rights reform for the digital age. DH, as a still-emerging field in Mexico, would potentially be one of the first academic disciplines to face tighter controls should the Agreement be enforced without further legislative amends. At a time in which Mexican universities are working hard to maximise their impact factors through widening participation and are enthusiastically harnessing open access technologies, the spectre of opaque, misinformed over-regulation is a scary prospect. In Mexico, academics did work together with policy-makers and publicly-elected officials to recommend better ways of negotiating the complex problems arising from digital information exchange. In this case, the Mexican powers that be did not listen. Perhaps other countries will. Mexico Signs ACTA: What It Might Mean for the Humanities by Ernesto Priego is licensed under a Creative Commons Attribution-ShareAlike 3.0 Unported License. Based on a work at 4humanities.org.